To listen to Canadian federal leaders speak of their ambitions of boosting our immigration intake from its absurdly high level of a quarter million migrants a year to 1% of the country's population level and beyond one would think that Canada is the Garden of Eden. A tropical cornucopia needing only greater input of cheap labour and capital to liberate a treasure trove of resources. Green Party leader Elizabeth May is among the most ardent advocates of this all-party gospel of denial, and on September 14, 2008 on CBC radio, she made a remarkable revelation that exposed her ignorance of Canada's reality. 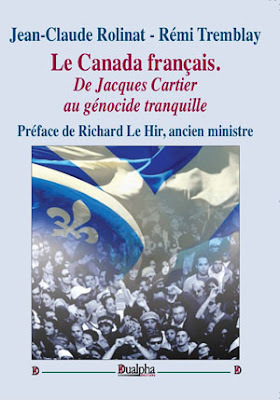 In answering a critic about the stress that immigration was placing on our major cities, she offered the opinion that New Canadians could simply be deflected to the depopulated regions of the country like rural Nova Scotia or northern Saskatchewan, conjuring up the image of Canada as a capacious hotel fit for many permanent guests. The sad fact is, however, there is no room at the Ecological Inn called Canada. Many of our "rooms" are bogs, marshes, wetlands, frozen permafrost unfit for construction, fens, taiga shields, boreal forests, mountains and lakes. If Canada attended an NHL hockey training camp and had to submit to that body fat composition test, it would be flunked out of camp the first day. The "fat," that portion of our country deemed unfit for human habitation, is far too high. And even if we did have the "space," space is not carrying capacity, is it? Antarctica has space. How many people can it support? Wetlands comprise 14% of Canada. Lakes 7.6% Together with permafrost tundra, the boreal forest upon which the global climate depends and mountains, they combine for over 94% for the "other" category that Wikipedia lists as opposed to "arable cropland." 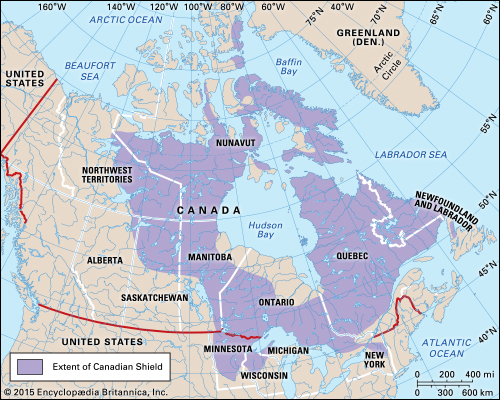 The Canadian Shield covers 48% of the country's surface, and even if the Arctic Shield is excluded, it makes up 32% of the land surface. If you want an image of it while sipping your latte with your open-borders, politically correct friends, think of undulating hills of spongy swamps, decaying peat, between thick taiga forest on top of rock dotted with thousands of lakes — not an ideal site for social housing. Those millions of refugees that Elizabeth would wave into this country would have to look for alternative digs. The most compelling statistic though, is the pitifully small portion of our land base that is arable, 5.2% And 80% of that land is farmed in the prairie provinces. It gets more scary. Of the 5.2% that is arable, only .5% is classified as "Class 1," and more than half of that is found in the province of Ontario. And guess where in Ontario? Close to the beacon of mass immigration, the Greater Toronto Area (GTA). Nationally, we have lost close to one fifth of our Class 1 farmland to development. Residents of B.C. 's Fraser Valley can bear witness. While the provincial government boasts that there are as many protected acres in the Agricultural Land Reserve (ALR) as there were when it was introduced more than four decades ago, much of rich farmland in the Fraser Valley has been released for development in exchange for bringing land up north with poorer soil amidst a harsher climate into the ALR. Such is the power of big money and the developer lobby. It stands to reason that as Canada has fallen victim to the immigration madness of the last two decades, it has been precious farmland that has paid the price. As the Ontario Farmland Trust put it, "Flat, cleared, agricultural land is not only easily developed, it is also very affordable to developers who are seeking to meet the demand for land to accommodate urban growth. It is often financially profitable in the long term for a farmer to sell his or her land knowing that it may be converted to some non-agricultural land-use, than to continued farming." ...farmland area in Ontario totals only 12.67 million acres — less than 5% of Ontario's entire land area. The vast majority of this land is found in Southern Ontario, which is also home to over 1/3 of Canada's population. Ongoing population growth and urbanization is fueling the conversion of much of the country's best agricultural land to non-farming uses. 1/3 of Canada's Class 1 farmland can be seen from the top of the CN tower in downtown Toronto, and a large portion of this is now covered by houses, industry and highways. Between 1976 and 2011, 2.8 million acres, or 18%, of Ontario's farmland is no longer being farmed — much of this land resource urbanized or converted to some other non-agricultural use. This is the amount of land required to feed to the City of Toronto's entire population. And it should be pointed out that the rapid incremental loss of farmland not only impacts our self-sufficiency in food, but the viability of our ecosystems. Subdivisions do not control flooding, protect wetlands, watersheds, nor absorb and maintain waste water. Nor do they provide food and habitat for wildlife. That is why more 500 species-at-risk are found just at the perimeter of those urban areas of Canada that are bursting with immigrant-driven population growth. Elizabeth May speaks of "the rich texture of cultural diversity." But it clearly is coming at the expense of our "rich texture of biological diversity." It is curious and paradoxical. On the one hand Ms. May argues that newcomers should be concentrated with other Canadians in urban centres by "smart" growth, packed closely together out of harm's way from greenbelts. Sorry. As previously stated, it won't work. On the other hand, her story is that New Canadians can be steered in their millions to those empty cold places that others before them found undesirable and left. She didn't intimate how the Charter of Rights and Freedoms could be over-ridden to oblige them to go north, or how money could be found to entice them in that direction, or once having arrived there, what would compel them to stay. There is a reason, other than economics, why 90% of Canadians live within a stone's throw of the US border. Climate. Let me illustrate. The average latitude in Canada is 61 degrees. Let's select Yellowknife, latitude 62 degrees, 47 minutes as a fair inland example. Yes, it is cold in central Saskatchewan in the winter. But if you live in Saskatoon in December at latitude 52 degrees, and your average day is minus 19, and you decide to take a job in Yellowknife 1223 miles northward, your days are going to be, on average, 9 degrees colder. That is why it takes a whole lot of money to get people to establish lives in the far north. I think that Elizabeth May's "Great Multicultural Project," her euphemism for the mass immigration policy which all federal parties and leaders support with mindless enthusiasm, is best imposed on the Penguins of Antarctica. They at least know the cold, hard facts about the environment in which they live. And if any of them should object, I am sure a Penguins' Rights Tribunal could be established on the Canadian model to stifle and silence them into submission.